We had the most wonderful Christmas Day this year. Happy in every sense of the word. It started very early at 6am with one very excited Princess squealing in delight at the present laden pillowcase Santa left at the foot of her bed and at the chomped up bits of carrot the 'reindeer' had spat out all over the front lawn!!!! Santa was generous but very sensible this year. The Princess got a scooter to encourage outdoor activity and Junior Scrabble for us all to play with and extend our minds!!! 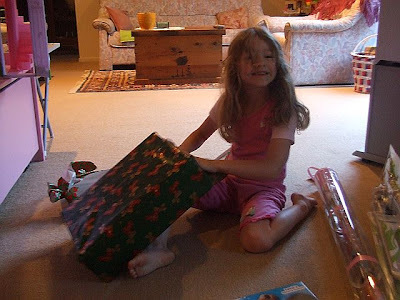 She did get loads of gifts from the rest of the family but fortunately lots of books and activity type things. 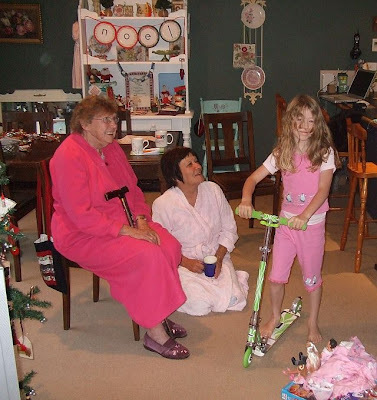 My Mum stayed the night and Babes grandmother (Amah) came over to watch the present opening early morning! 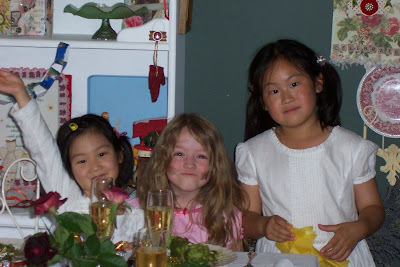 I was in the this photo but it was hideous so I cropped it!! Love that cropping tool!! Even though it was very hot and sunny we had a traditional Christmas dinner, turkey and trimmings. 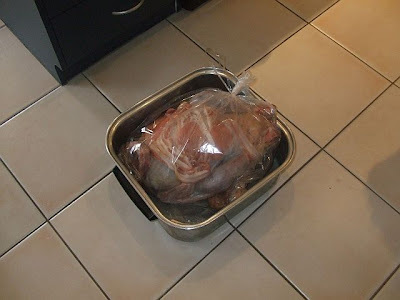 Here it is uncooked on the kitchen floor, it was a whopper and the pan wouldn't fit on the bench. 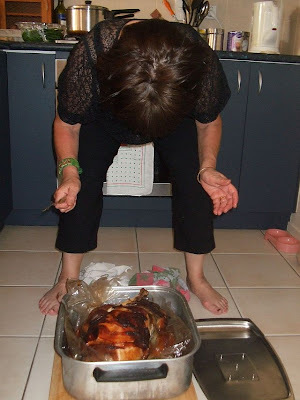 And then cooked, still on the floor - I did wash the floor the night before! 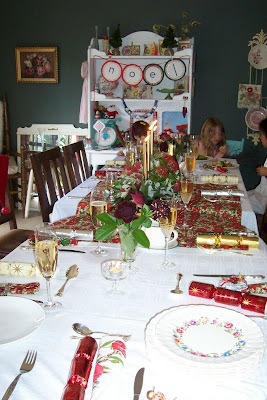 My Mum set the table, it looked gorgeous, we used a table cloth and napkins Jean my mother in law had made and sent from Australia to use on Christmas Day. 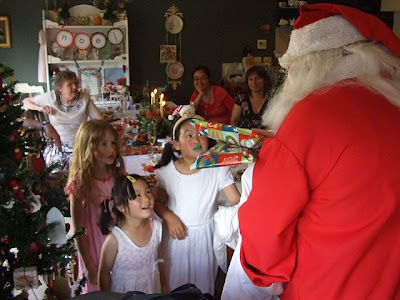 The children even had a special visit from Santa, they couldn't believe what they were seeing!!! 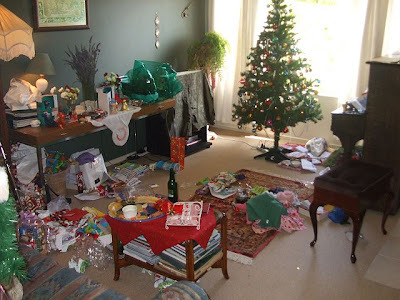 In true Christmas fashion, the aftermath of Christmas Day, the trashed present opening room! I've really enjoyed catching up with you all and seeing what you did for Christmas Day. For my next post I will show you what I got for Christmas and the gifts I made for people. I'm off to finish a dress I am making for my little 2 year old niece Miss Georgia Mary Fairy!! !